One of the most common plumbing problems that home and business owners will experience is drain problems. PlumbWize is a premier plumbing service provider. Over the years we have distinguished ourselves with our unbeaten level of expertise, professionalism, knowledge of industry standards, best practices, and technology, and our ability to get the job done right the first time. Whether you are a home or a business owner, you know that plumbing issues do not plan themselves around your schedule. They often happen at the most inopportune times. This is why PlumbWize exists: to be the first line of defence when emergency plumbing services are needed. Think of us as the 9-1-1 of plumbing services. 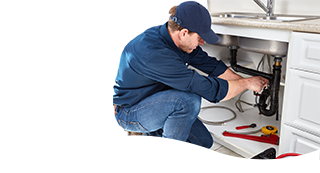 We come in and provide emergency plumbing repair and other emergency plumbing services at any time because we know that that's what our customers need.